You will agree with me that buying a paint sprayer is easy but if you are on a budget, you have to look at many factors before you get the best paint sprayer under 500. If you are ready to spend hundreds of dollars on the next paint sprayer, then this doesn’t apply to you since you can shed any amount on a model as long as it checks the right boxes. On the other hand, if you have a budget of $50-$350 dollars, your option becomes restricted and for this reason, you will be choosing from a small pool of sprayers. But this doesn’t mean you can get the best one that has just the right features. In fact, we have compiled some of them in this guide. Paint sprayers can help you achieve that unique aesthetic appeal décor you want for your interior walls or evenly painted exterior surfaces. There are several brands and models in the market, and while find one is not a problem, not all offer desirable features. Some of the reliable paint sprayers cost up to $1000 although these are recommendable for large-scale projects. If you need a good quality budget option, then you should check out the top paint sprayers under $500 offers. Coming at a fraction of the cost, they still harbor enough features to give you the result you want. So…What’s the Best Paint Sprayer Under 500? This specific Paint Sprayer is the most popular paint sprayer under 500! Whether you are a homeowner learning how to paint with a sprayer or a handyman searching for the best way of painting differerent items at home with a sprayer, you will find the HomeRight Super Finish Max Extra C800971 Paint Sprayer to be suitable for your needs. With it, you can spray paint 10x faster than using a roller or paintbrush. Now that you know the top 5 best paint sprayers you can buy under 500, let’s go in-depth; looking at the features, pros, and cons of each paint sprayer. The important thing to know is that all of the paint sprayers in this list are good for you. And they are useful for you even if you are looking for a model for a specific painting job. The Wagner Flexio 590 is definitely one of the best handheld paint sprayers that sell for less than $500 and still deliver. It comes with a host of features including the trademark iSpray nozzle adjustment that allows vertical and horizontal spray patterns as well as wide and narrow release. A sturdy and well thought out design which includes the Lock-N-Go nozzle design that speeds up nozzle replacement and cleaning process. Two nozzle caps to keep your paint from wasting. Pattern adjustment ring and advanced x-boost turbine-nozzle technology for making the sprayer adapt to your specific painting needs. In addition, it is one of the high-performing handheld paint sprayers on the market. It features a flexible and versatile offering detailed finish ideal for both interior and exterior walls. 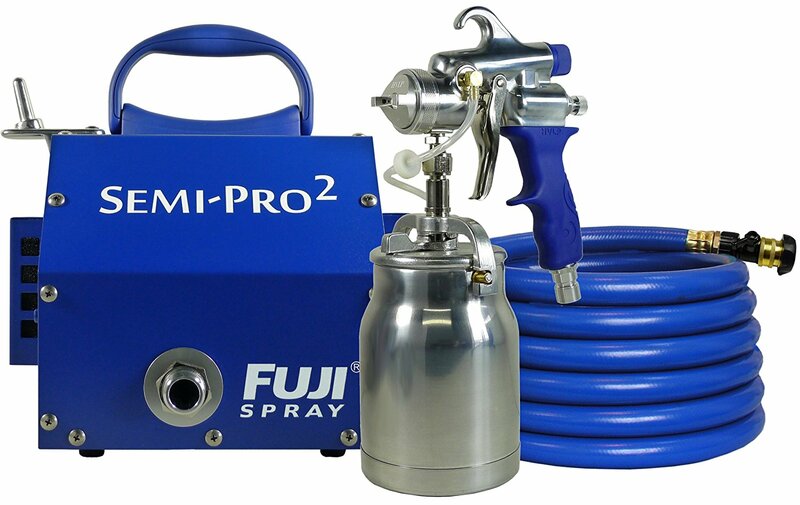 If you are searching for a professional non-bleed 2-stage paint sprayer, then you will find Fuji’s 220 Semi-PRO 2 HVLP Sprayer very helpful. 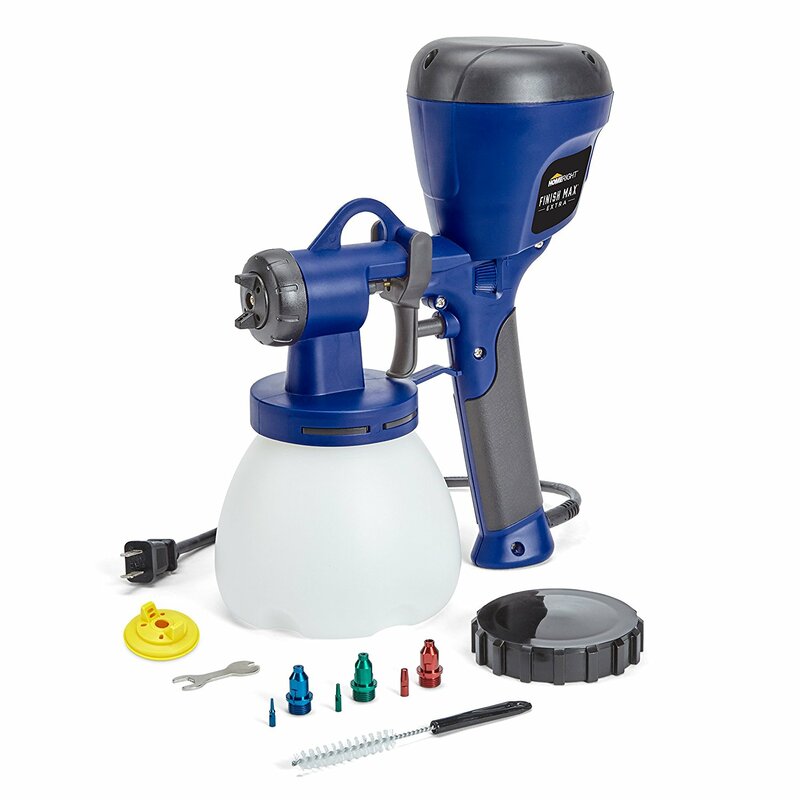 This elegant design paint sprayer features 1.3mm air cap set, a 1Qt. feed cup (at the bottom), ergonomic gun holder with corrugated grip and a metal turbine case. The feed cup makes it easy to maneuver the gun and direct it towards the surface for better precision. The corrugated grip and metal case helps the SEMI-PRO withstand heavy usage, thus serving you longer. It also comes with a 25ft. hosepipe with an inbuilt control valve that prevents bounce back and overspray. 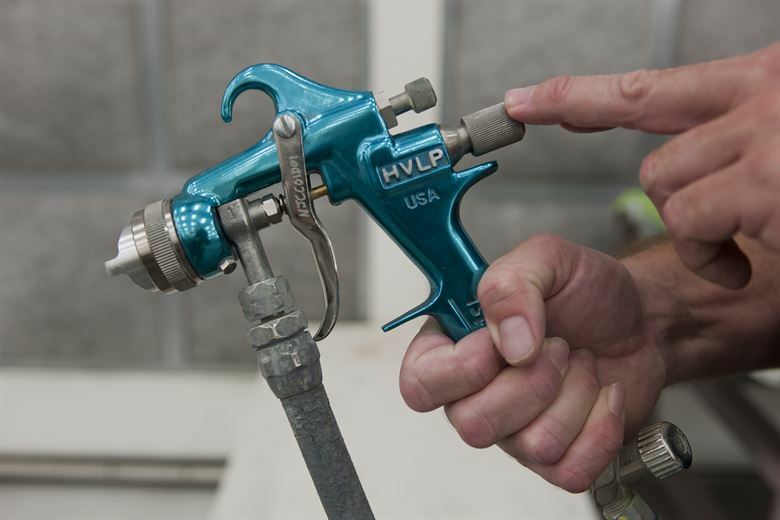 Its non-bleed spray uses fan control to adjust spray patterns. This is one of the simplest paint sprayers and it is also very cheap compared to other options in this list. However, the seemingly low price does not take anything away from its functionality as it features fluid control and adjustable fan pattern. It also has an anti-slip grip and can be used to spray various surfaces including enamels, metallic, lacquers, and urethanes. 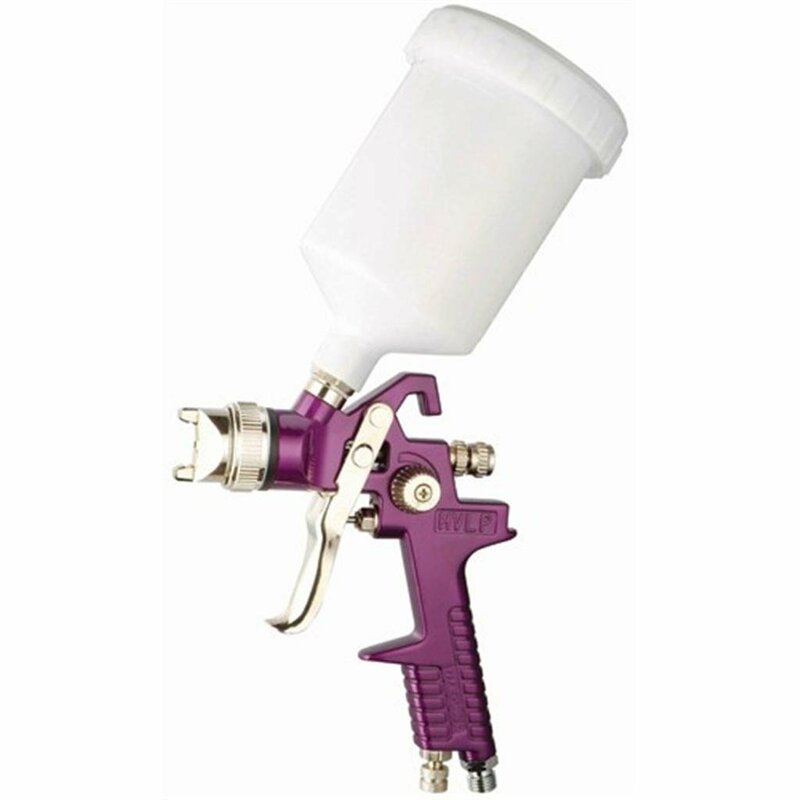 This sprayer is ideal for primers and base coats as well as hobby projects. It is quite common in the auto industry but can also be used for other painting projects like staining deck, painting furniture and cabinets and a whole lot of other projects you may want to engage in. This elegant paint sprayer is one of a kind and features some amazing specs that make paint spraying both interesting and effortless. It comes with an easily replaceable fluid section, high efficiency airless (HEA) technology, Sureflo pressure valves for priming. It features a durable pump and hunched onto a wheeled carrier that can be moved around. With a high pressure of 1500 psi and halved overspray, this soft spray machine offers the best value for money within its category. This is yet another airless paint sprayer model that has outstanding features that will help you paint as much as 125 gallons in one year. 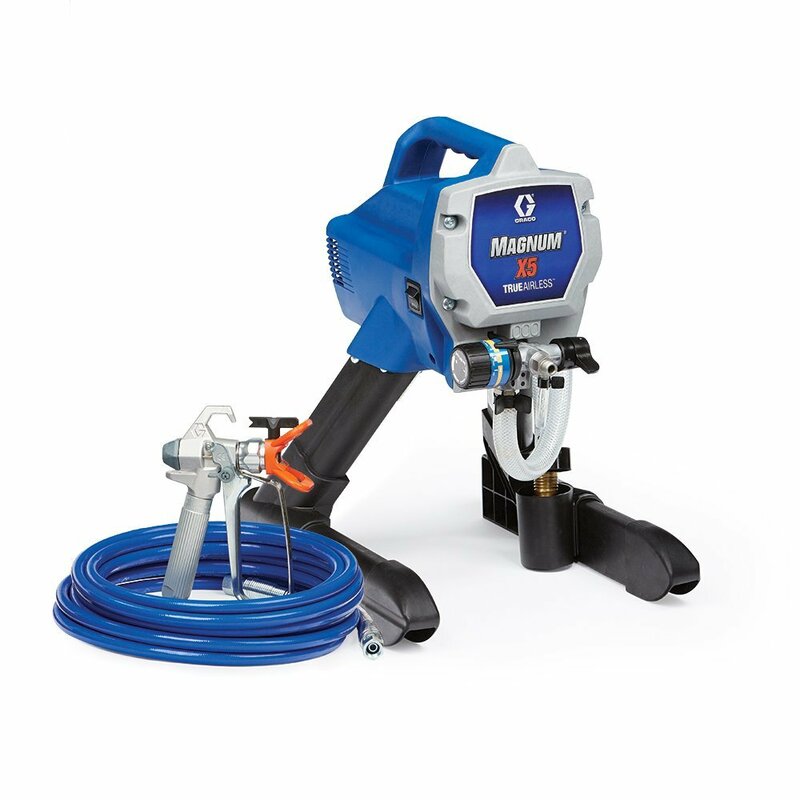 This sprayer depicts fully adjustable pressure, flexible suction tube and PowerFlush adapter that makes cleaning very easy. You can connect it to a 1 gallon or 5-gallon paint and still get the same results. It also features innovative RAC-IV switch tip that can be reversed to continue spraying when one side is clogged. It can support garden horses up to 75 ft long to ensure you keep painting without moving your unit around. 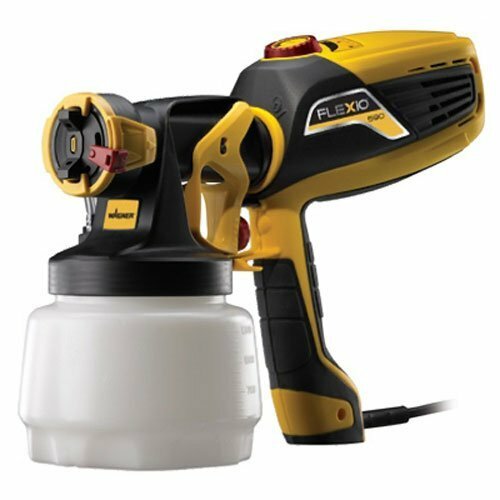 Thus, it is one of the most efficient paint sprayers with total pressure control, flexible suction for variable paint sources/volumes and easy cleaning. Although, it requires high maintenance compared to alternatives. 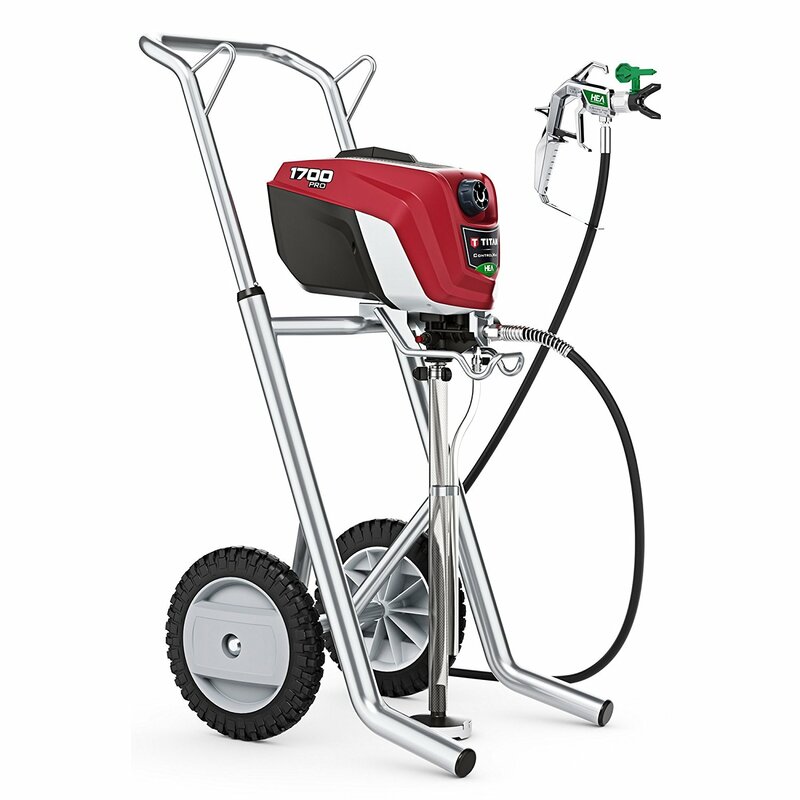 When looking for the ideal paint sprayer under $500, you will come across several offers. Some may meet your need while some are extremely useless. It is important to outline your requirements before you start comparing existing offers. This will narrow down your search to models that are designed to handle such tasks. Nevertheless, the above-mentioned models comprise some of the highly rated sprayers and pumps by users and pundits. Make sure you buy from credible licensed retailers for genuine quality. Make sure you pick one based on the features and capabilities so that it can suit your intended project. And with this guide, you should be able to select the best paint sprayer under 500.